Hi ya everyone! 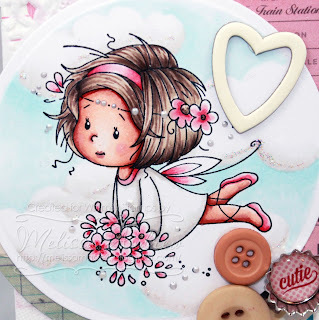 I'm sharing on the Whimsy blog today a tag I made with the ADORABLE Wee Stamp set called Flower Fairies. There are two sweet fairies in this set and they come with sentiments too! So sweet right? 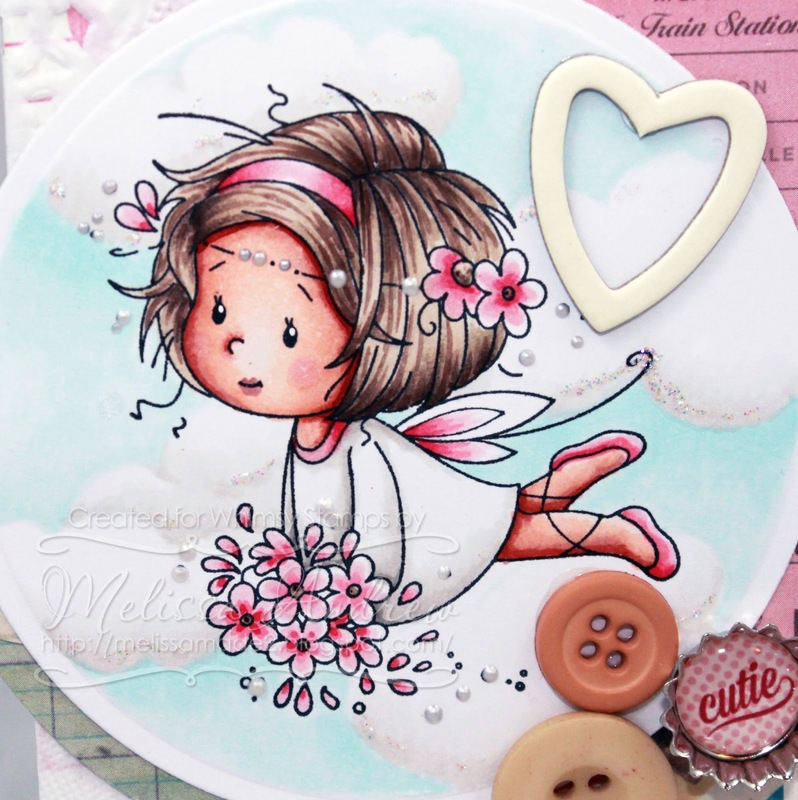 I colored this sweetie up in my Copics and used some fun papers and embellishments. Here is a close-up of this cutie! This is to die for!!! So flippin' adorable! Great work Melissa!! 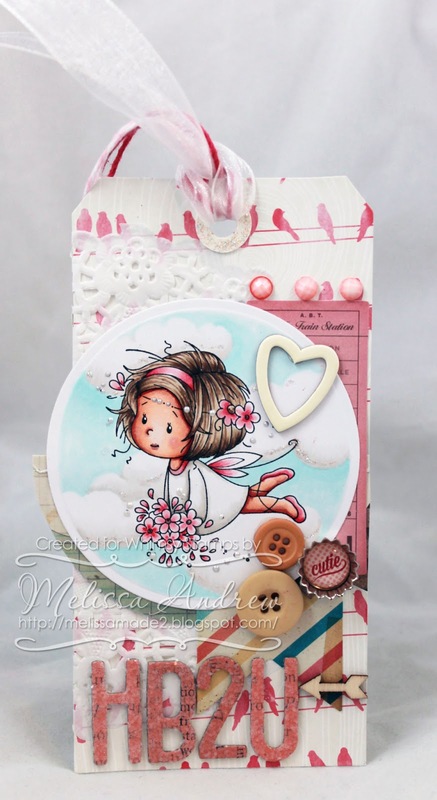 What a great tag Melissa, completely adorable! I am always in awe of your work! Gorgeous tag!! Live all the little details like the open heart! !